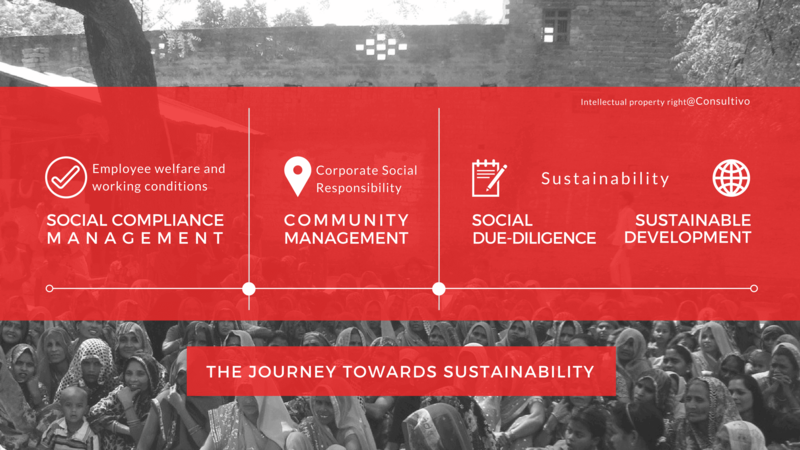 Why is Social & Sustainability important for you? In today’s increasingly competitive landscape, more and more companies are realising that being sustainable is more than an environmental gesture which makes long-term economic sense. It’s time to stop thinking about sustainability as a Green Option. Sustainability is a core strategic competency for businesses that want to be around for long term. As a Sustainability Consultant, we help organisations to manage their business risks in the field of sustainability through our experience & expertise. Consultivo provides advisory services in the field of sustainability and capacity building to manage a sustainable business. Consultivo’s role as advisor & support resource helps our customers to prepare as per different national & international standards like GRI-G-4, Equator Principle.